Brand New 2015 MyGica ATV 586 ATSC is Now Available!!!! 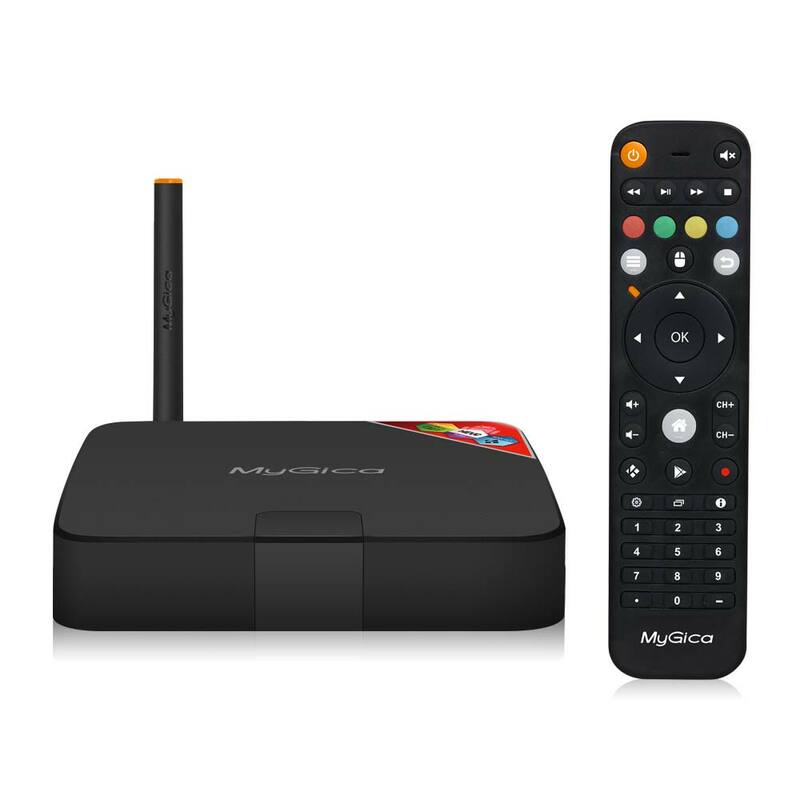 MyGica ATV586 ATSC is the Ultimate Entertainment TV Box providing you LIVE Local Digital HD Channels combined Powered By Android 4.4 Operating System. Watch, Record, Schedule, Edit and Enjoy Live TV with your Over the Air Aerial TV Antenna. Although MyGica includes a FREE basic indoor TV antenna we strongly recommend to use a more powerful outdoor antenna to gain more TV channels. MyGica ATV 586 ATSC deliver Superb True 1080P HD with no up-scaling. If your current television doesn't have an ATSC tuner or if your television is old you can use this MyGica Model to get back Local Channels in High Definition Quality. Great box if your TV does not have an ATSC tuner as you get both a tuner and a straming box. For a more stable and far superior streaming box take a look at the G-box from Matricom. MyGica ATV 586 ATSC is built on the same platform as the popular MyGica ATV 585, Amlogic Quad Core Processor and Mali 450 Quad Core GPU. ATV 586 ATSC boasts hardware decoding HEVC H.265 Technology ** reducing bandwidth up to 50%. MyGica ATV 586 ATSC is preloaded with the Popular KODI (formerly known as XBMC Media Center) as its Premium Home Entertainment Software. KODI has No trials, No Pro Edition and No Limitations. Great little unit with an ATSC tuner. If all you need is just a good streaming box then look at the G-Box as a far superior streaming system. MyGica is great if you dont have an ATSC tuner in your TV as you get both a HD tuner and Streaming box. Manufacturers of the highest quality Android TV Boxes including the Jynxbox Android, Pivos XIOS DS and MyGica Products second only to G-box.